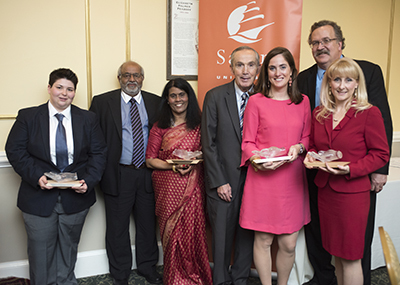 The Center for Civic Engagement is the nexus for community-based initiatives and civically-engaged learning at Salem State University. Established as part of the university’s strategic plan to promote civic engagement, social justice and connection to place, we are responsible for developing and supporting programs that connect our students, faculty, staff, and alumni to the greater community. Through reciprocal collaborations designed to address public issues and enhance academic learning, the center promotes the importance of community involvement and the privileges and responsibilities inherent in civic participation. The Center for Civic Engagement is an integral partner within the greater community that supports the intersections of student learning, faculty and staff engagement, and community needs. This vision comes to life in a vibrant and active community engaged in academic study, dialogue, service, and civic activities that work to address local, regional, and global issues. One recipient is selected from each award category—students, faculty, administrator/staff, or alumni—and the awardees will be honored at a Hall of Fame Celebration. The Civic Engagement Hall of Fame is an annual program sponsored by the president and the Center for Civic Engagement. One recipient is selected from each award category and the awardee is honored at a Hall of Fame Celebration, which is usually held in April. The Hall of Fame recognizes individuals for their efforts in addressing social and environmental challenges facing our communities. Nominees must possess sustained commitment and passion for improving, assisting and helping organizations in need through their civic engagement efforts. All recipients are required to be in attendance at the Hall of Fame induction celebration. 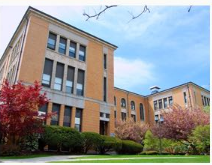 Faculty: a Salem State University full-time or part-time faculty member. 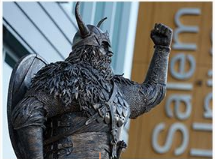 Staff/Administration: a Salem State University full-time or part-time staff or administration employee. 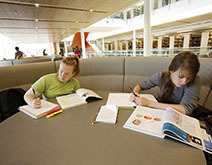 Student: a Salem State University undergraduate or graduate matriculated student. 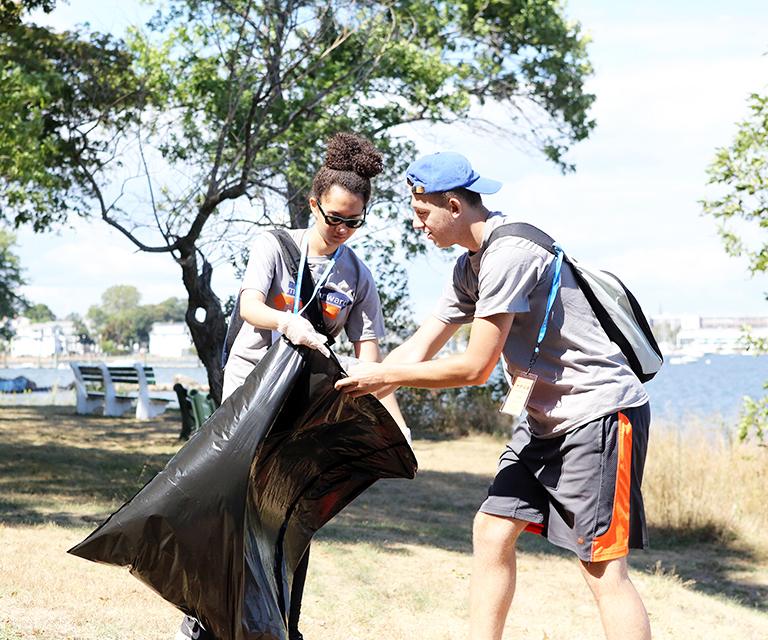 Service-learning at Salem State is a teaching methodology in which students learn through thoughtfully organized service and structured reflection tied directly to academic objectives. Service activities, conducted with and meeting the needs of a community partner, foster civic responsibility and deepen academic understanding. Service-learning courses are beneficial to everyone involved. Community partners benefit from the creativity and new level of energy that students and faculty bring to their organization in a sustainable way that often allows for more in-depth projects than a singular volunteer opportunity. 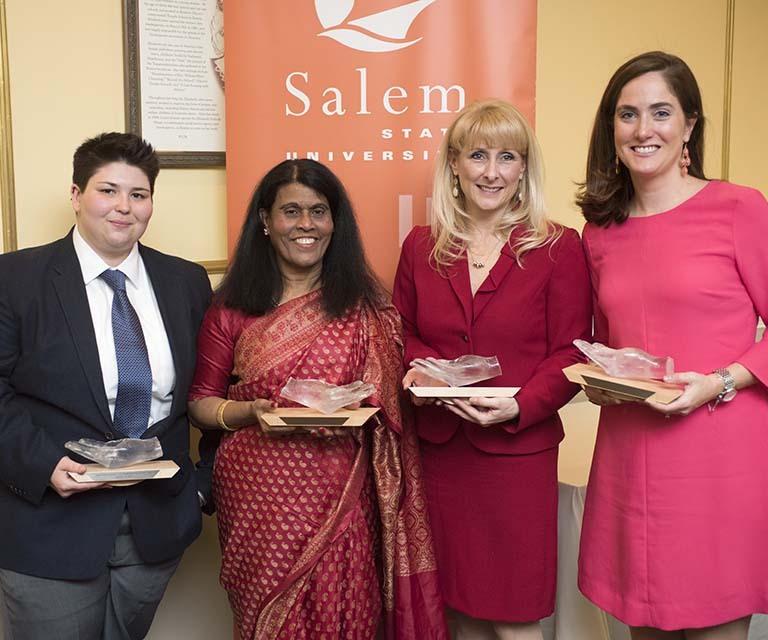 Salem State University is excited to build new collaborative relationships between the university and surrounding community organizations. The service-learning team is here to help facilitate faculty and community organizations seeking to establish new partnerships. If you have any questions or need help with a project idea please contact Cynthia Lynch, director of the Center for Civic Engagement at 978.542.2873. At her 2008 inauguration, President Meservey charged the college to build on its legacy of service to the North Shore and beyond by establishing a center for civic engagement. She stated, "It is our duty to ensure that students understand the importance of community involvement, and that they are well versed in the privileges and responsibilities that come with citizenship in a democratic republic." 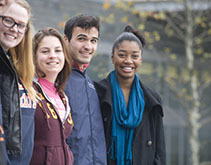 Salem State's Center for Civic Engagement supports the college's service-learning and community service initiatives. It acts as a liaison to surrounding non-profit and community agencies, and as a resource and training center for students, faculty, staff, and alumni. Community partners this year include the AIDS Action Committee (Boston), Boys & Girls Club (Salem), Danvers Historical Society, Essex National Heritage Commission, Ford School (Lynn), Girls Inc. (Lynn), Healthy Peabody Initiative, Lynn Time Bank, Operation Troop Support Inc. (Danvers), Plummer Home for Boys (Salem), Salem Mission, Salem Parks and Recreation, and Saltonstall School (Salem). Are you interested in engaging with your community? Would you like to be a change-maker, someone who wants to make a difference in the world? Are you excited to start your college experience? Join us for Moving Forward, Giving Back: Salem State University’s First Year Day of Service—a program to connect new students to our community. Learn about the 2018 event!